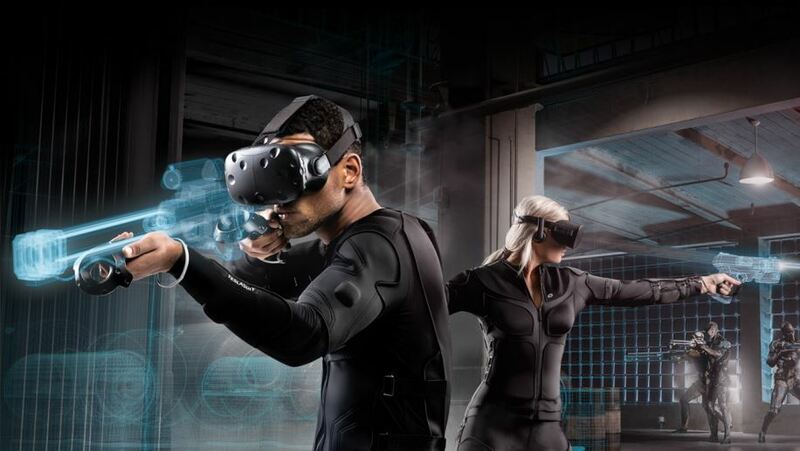 Share the post "The future of gaming – Teslasuit"
I absolutely love this idea. However, there are still many issues to consider such as the comfort of it, size, and safety. I think that in the future this will become the next gaming thing, but what about the idea of wearing a headgear that would allow you to enter a game without even moving yourself. I think that this is the ultimate goal, but this suit is a stepping stone. I can’t wait to try this out. This is a big step forward but I think that this suit can do so much more than just be a gadget in a gaming industry. Imagine all these sensors recording your moves so you can steer a robot in some dangerous environment for human. You could easily do difficult manual tasks for example such as repairing something on the outside of the ISS while staying inside or even being down on Earth! Yes ! That’s exactly what i thought. In my opinion it can be a huge breakthrough in human history. Imagine all of the cases it can be used in. For example, maybe even a surgeon will be able to do the surgery via a robot from miles away. Well, we may see that in next few years. I’m still waiting for full-dive technology or BCI (Brain Computer Interface), but in the meantime this might do. This a great breakthrough product not only in the gaming world. It seems awesome to actually get the feel of the game that you’re playing. Imagine those immersive games like Witcher 3 that grasp your full attention combined with the Tesla suit, you would absolutely feel like you’re there. If I ever have a chance I will most definitely try the suit, but the problem is that you need a lot of space so even if I’m able to afford this suit, a new problem might come to exist since there isn’t enough space in my room to navigate in the game – but it’s just a little downside. I hope this is a breakthrough to actual full immersion virtual reality dives which would not make an illusion of you seeing and feeling but actually letting you feel the soft breeze of the wind on your skin, touch the grass, hear the sound of crunching stones when you cross the pathway, have the sun rays actually blind you when you look at the sky and actually SEE the beautiful places that are unachievable in the world we live in. Just think of the possibilities.